Here's the other 'game worn' jersey in my collection. 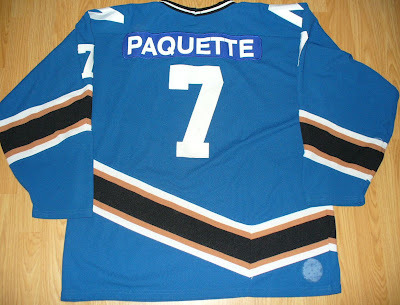 It's from the same league as the Bulldogs jersey (SIJHL) and also is a defunct team. The Marathon Renegades survived for less than 2 seasons. 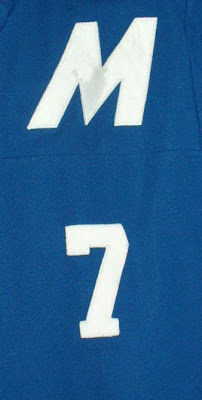 I was offered 2 or 3 jerseys or other items out of a small hockey bag of stuff as payment for putting the name and number on the Finland jersey in one of my earlier posts. This was one of the jerseys I picked. 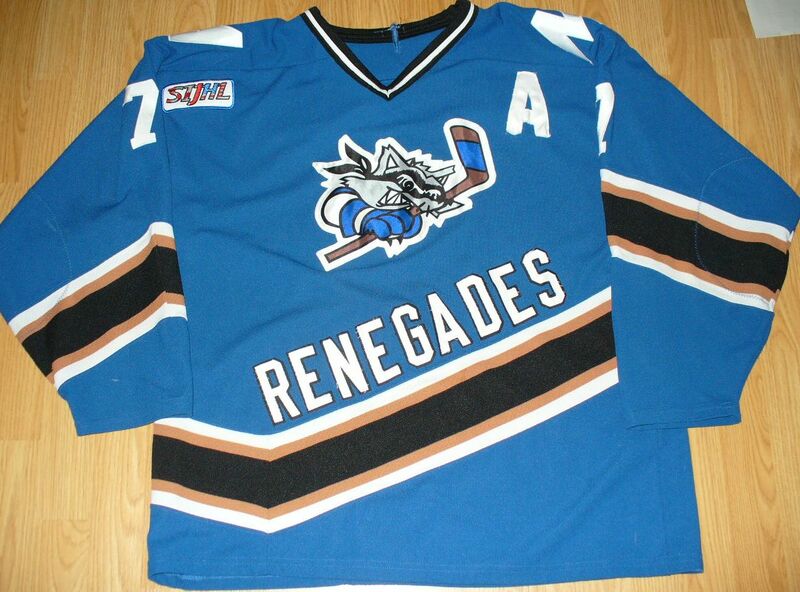 The main front crest is very similar to the one used by the Baltimore Bandits (AHL). It appears to be a sublimated logo that is sewn on. Everything except the Alternate Captain 'A' is machine sewn on. The 'A' has been hand sewn on. The SIJHL is an embroidered patch. The last name looks to be heat pressed on the name bar and sewn on. The shoulder crest 'M', along with all the numbers and the front team name are made of tackle twill.